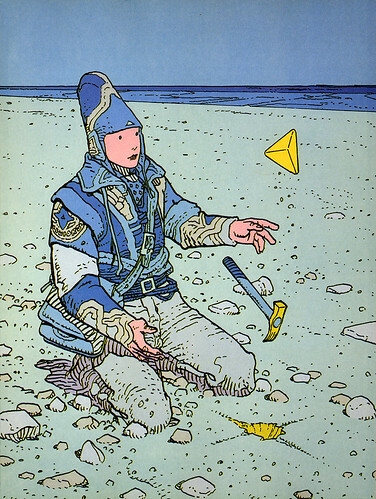 He was born Jean Henri Gaston Giraud but the world will always remember him by his chosen name: Moebius. The legendary French comic book artist, writer, conceptual design and illustrator passed away yesterday at the age of 72 after succumbing to a lengthy battle with cancer. Even if you didn't know of his name, if you had seen Alien, Tron, The Fifth Element or The Abyss, you had seen his work. The astronaut suits that Dallas, Kane and Lambert wore in Alien were his creation; several of the light suits in Tron, and the look of the futuristic New York City in The Fifth Element with all of its bustling flying automobiles (Bruce Willis' futuristic taxi cab driver and the galaxy's cheapest car insurance rates probably don't co-exist in this universe) were created from Moebius' imagination. For the 1989's movie The Abyss, the French artist contributed designs of the underwater NTIs the humans encounter but director James Cameron went instead for a different creature design. 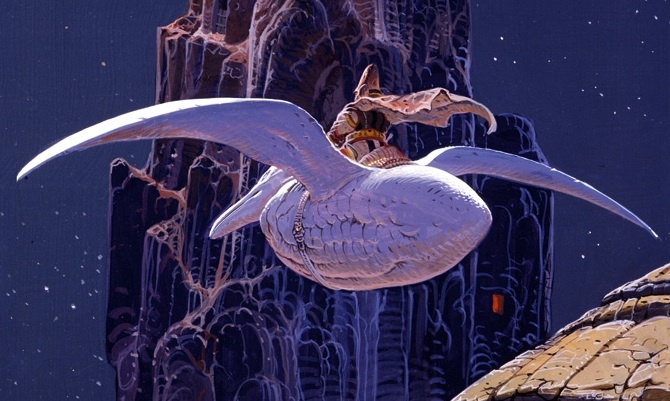 It was in the pages of the French comic book magazine Metal Hurlant (known to western audiences by the name Heavy Metal) that Moebius first rose to fame. He illustrated and wrote several strips, one of which was chosen for the 1981 animated Heavy Metal movie ("Taarna"). 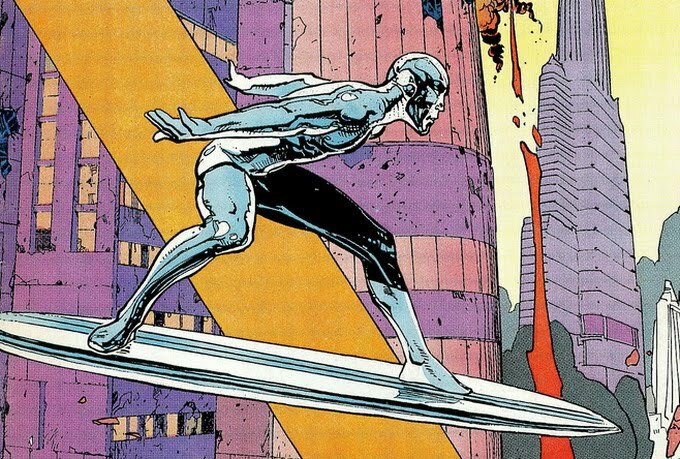 His fame increased in North America when he illustrated several stories featuring Marvel Comics' Silver Surfer. He also created Lieutenant Blueberry, a western character that attained more popularity with European audiences, and drew 29 volumes of Blueberry's adventures. Indeed, the name of Moebius is much better known throughout his home country of France, in Japan and western Europe than it is in America, Canada or in the United Kingdom. 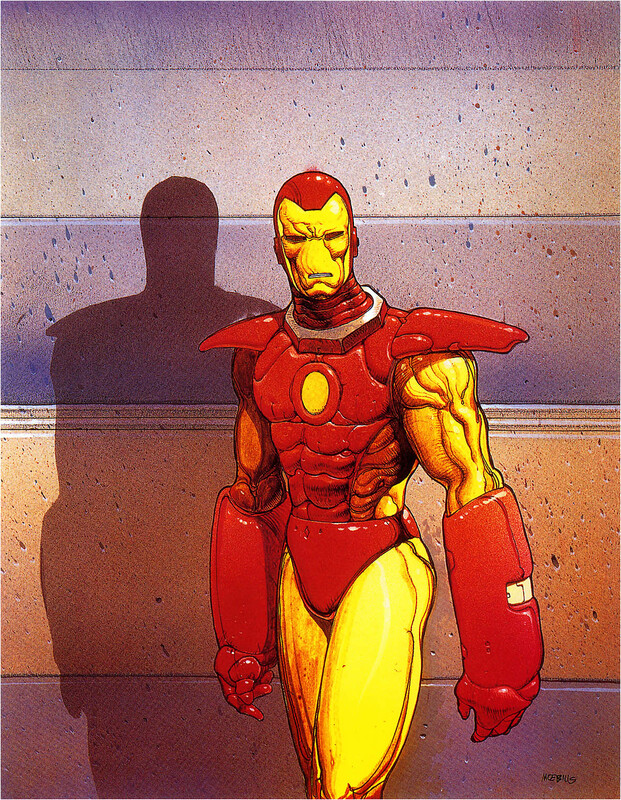 Once you had seen a Moebius drawing, you could instantly recognize his work again with another character. His contribution to the worlds of fantasy and science fiction are monumental and have given us new glimpses into iconic superheroes and fantastic places that we would have never had seen otherwise. There won't be another one like him. I only saw his work on Silver Surfer, and never really cared much for it.